Cardiff boss defends player on extreme grounds. 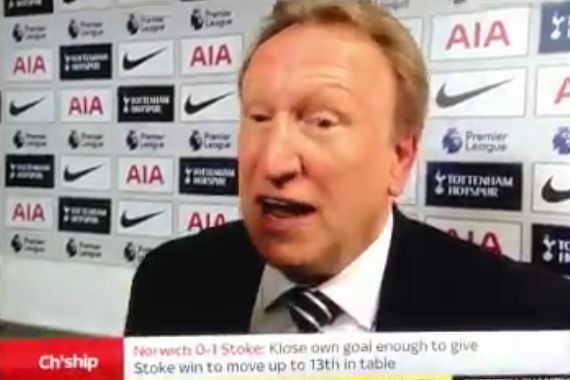 Cardiff City manager Neil Warnock argued that Joe Ralls shouldn’t have been sent off against Tottenham Hotspur because his challenge didn’t endanger life. The Bluebirds midfielder was shown the red card for a wild and cynical lunge on Spurs forward Lucas Moura when the two sides met at Wembley on Saturday. It’s not endangering the life of a player, so I don’t know why it’s a red card. Spurs won the match 1-0 thanks to an early goal from Eric Dier.